Samsung Bangladesh Customer Care Service Center Contact Number & Address! Are you searching Samsung Customer Care Service Center Contact Number & Address in all over Bangladesh? If your answer is yes. Just follow the below. Samsung BD Customer Care Contact Number: 09612-300300. 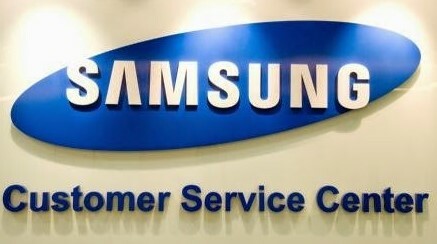 The Samsung BD Customer Care Service Center Toll Free Number: 08000300300. Talk to an available BD Samsung Service Center agent from 8 AM to 10 PM. Dhaka Jamuna Future Park Shop 21, Level 4, Block C, Jamuna Future Park. Contact Mobile Number: 01755587269, 01811410965. Address: 242/A, Kadirgonj, 1st floor Greater Road, Rajshahi. Contact Mobile Number: 01755587260, 01811410969. 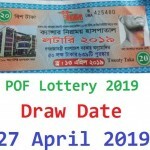 Address: Nokshikatha Multipurpose Cooperative Building 2nd floor, Moshjidbari Road, Niltuli, Faridpur. Contact Mobile Number: 01755587253, 01811410972. Address: Touch Valley Aman Bhavan Ground floor, 119, BB Road, Chasara, Narayangong. Address: 30/1, C.K. Gosh Road, 2nd floor, Mymensing. Contact Mobile Number: 01755587258, 01811410975. Address: Pollwel Carnation, 6th floor, Shop-44, Plot-09 Sector-08, Uttara, Dhaka-1230. Address: Kanchan Kutir. Ground floor, Biswas Betka, Tangail. Contact Mobile Number: 01755587259, 01811410976. Address: 40 Sadar Road, 2nd floor, Opposite to Hotel Ali International, Barisal. Contact Mobile Number: 01713384346, 01811410971. Address: Noor Mansion, 1st floor Kandirpar, Comilla. Address: 368 Chayanir, S.S.K Road. 1st floor, Beside Sundarban Courier, Feni. Address: Rokon Tower, 37 M K Road, Chitra More, Jessore. Contact Mobile Number: 01713384326, 01811410977. Address: Nousin Tower, 3rd floor, 11 K D A Avenue, Khulna. Contact Mobile Number: 01755587262, 01811410978. Address: Lovely Tower, 3rd floor, 555/1 N S Road, Kushtia. Contact Mobile Number: 01755587263, 01811410979. Address: Shirul Complex. Yeakubia More, Sherpur Road, Bogra Sadar, Bogra. Contact Mobile Number: 01755587264, 01811410980. Address: New Hotel & Restourent, 1st floor. Station Road, Dinajpur. Contact Mobile Number: 01755587265, 01811410981. Address: Shah Bhaban, 2nd floor, 123 Station Road, Grand Hotel More (Behind Samsung Showroom), Rangpur. Contact Mobile Number: 01713384320, 01811410970. Address: West World Shopping City. 3rd floor, Shop-39, Zinda Bazar, Sylhet. Thanks for staying with us a long time and visiting Samsung Bangladesh Customer Care Service Center Contact Number & Address article. If you have any confusion or question or want to know more about the BD Samsung Customer care, Just comment here. We reply as soon as possible with a correct answer.